The main event of your wedding day will be when you stand as husband and wife and cut your cake in front off all your friends and family. 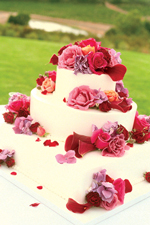 Your wedding cake will be the focal point of your wedding reception and will be gazed upon by all your guests. With Ace Cakes exquisite sugar craft decorations all hand sculpted, you can be confident that your cake will be a cake to remember! These cakes are traditional classics that will never date, they are simple yet elegantly in style and design. Available at short notice, in round, square and heart shape for £295. They come stacked as 10" 7" and 4" on a decorated cake board, fully covered in white or ivory sugar paste and simply decorated with flowers, butterflies or hearts. These cakes are creative and bespoke in design with emphasis on fine attention to detail. Each cake is unique in style, so call us today to book your free consultation and we will help you design your perfect wedding cake to your exact specification. These are the ultimate in cake design, representing the individuals' personality and style. A modern twist on the traditional stacked wedding cakes. Ace Cakes offer a unique and exquisite range of wedding favours. If you plan on having a tea reception we can offer a tea service with an assortment of cookies and tray bakes, please contact us for further details. *Cupcake bouquets are a unique favour that doubles as a table centre piece - an alternative to fresh bouquets. No Celebration is complete until the unveiling of the cake! Whether it s a birthday, christening or anniversary Ace Cakes will create you a cake to remember. 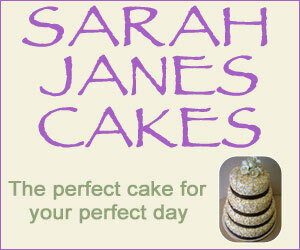 Cakes for any occasion whether it be mothers day, graduation, congratulations, anniversary or just to say thank you. Whatever your occasion Ace Cakes will create you a cake to remember! At Ace Cakes all our cakes are freshly made using only the finest ingredients, as we firmly believe that taste is as every bit as its design - never compromising on taste.! An option with tiered cakes is to select a different flavour for each cake, that way you can ensure that there's something for everyone. These are the core flavours based on popular demand. If there is a flavour you want but is not listed, please do not hesitate to as, as it can probably be done. 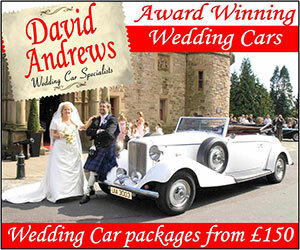 "I want a Elegant wedding cake I want a Contemporary wedding cake in newtownabbey I need a luxury wedding cake in antrim"